The Smashing Pumpkins Release New Song "Solara"
Early last month, the Smashing Pumpkins promised to deliver a new track with their "reunion" lineup called "Solara," and now it has officially arrived. Down below, you can hear the new song from Billy Corgan, James Iha, and Jimmy Chamberlin, though without D'arcy Wretzky. Previously, Corgan shared a still from an upcoming video for "Solara," but as of press time, there is no sign of the clip, which is being directed by Nick Koenig. 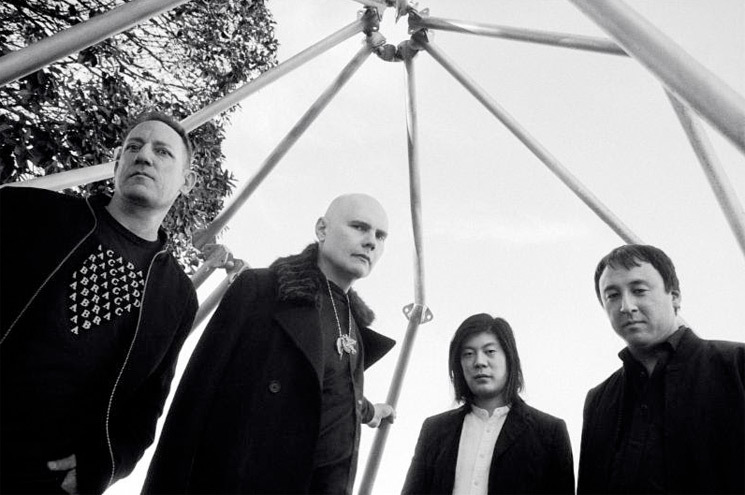 As previously reported, the Smashing Pumpkins' North American tour kicks off in July. Today the Pumpkins added four additional dates in Canada, while also naming Metric as opening support for the entirety of the North American run. You can find a complete tour itinerary here.